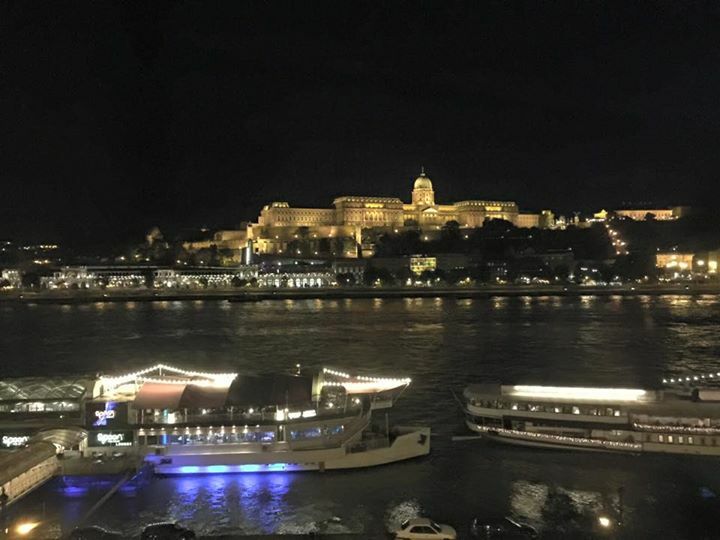 Last Sunday we disembarked the Viking Baldur and then spent 2 nights in Budapest. Before leaving the Viking Baldur we settled our bill at the front desk. This actually turned out to be easy the final morning since there was no line, unlike the night before. Our bill only turned out to be €12 because we had been given onboard credit. The onboard credit covered all the optional tours we took and most of the drinks we purchased onboard. Originally the Viking Baldur was supposed to dock right in front of the InterContinental Budapest, and this was what we were told hours before docking as well. The night before we docked still on the same side as the Intercontinental, but on the opposite side of the bridge. The morning of disembarking it poured before we left the riverboat. This made it a bit difficult to get over to theInterContinental because the way we were going to go was incredibly muddy and the other way involved a big stairwell. One thing that made it easier to get the bags over was because it was a Sunday with little traffic. Luckily Caitlyn (program director) offered one of the crewmembers to at least bring the suitcases up the stairs so we wouldn’t have to go the muddy way. We then lucked out further because the guy offered to take them all the way, since he wanted a break from the boat for a bit. This made it so much easier to get to the hotel. Even though the location of the hotel is convenient to the Viking docking locations, it may not always be the easiest to get to with suitcases. When we checked into the InterContinental we were given a choice of an upgrade to a suite. We actually passed on this since it meant only 1 bed instead of 2 beds. Instead the hotel included breakfast for two days instead and we could access our room right away. This actually worked out much better for us in the long run. We decided that morning to have breakfast at the hotel, which was the typical European buffet breakfast. One interesting thing is the Intercontinental does have an Asian buffet for breakfast as well. 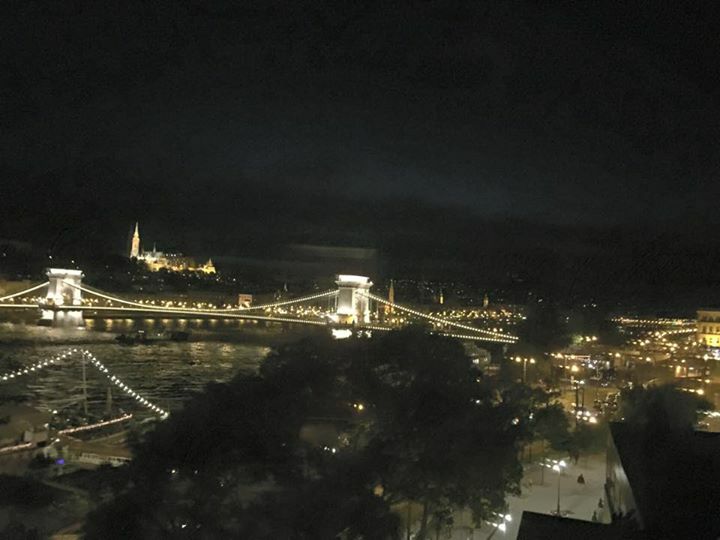 The view from our hotel room overlooked the Danube, which was fantastic at night. Today turned out to be slightly not as planned. Originally I wanted to go to the House of Terror Museum, which recognizes the victims of both the Communist and Nazi regime of Hungary. Well we missed out on doing this since we just weren’t in the mood to sightsee much that day. Since we didn’t go, I knew we missed out on going this trip. Most museums in Budapest are closed on Monday’s, with some closed on Tuesday’s. Instead we just walked around the area near the hotel this day. There are a lot of cafes and shops, but the shops were mostly closed on Sunday. This is actually a relatively new law in Hungary we found out and shops over 200 sqm can’t be open on Sunday’s. Previously shops were open on Sunday in Hungary, but a law was passed this year to change that. Juli, our guide from the day before, mentioned people in Hungary weren’t happy about this changing. Later in the evening we decided to search for somewhere for dinner. Well even though there are a lot of neat looking cafes and restaurants in the area, virtually most had the same exact menu. I was a little surprised by this and was expecting some variations. So since nothing really appealed on the nearby menus, for example like goose liver, we went somewhere we normally would never go to on vacation, the Hard Rock Café. Surprisingly this was the best service we had at any restaurant the entire time in Budapest. Not really sure why the service here was so good compared to anywhere else, but it was attentive and friendly. So kudos to the Hard Rock for actually having a decent experience! After dinner we just headed back to the hotel for the evening since we were a bit tired after all the early days the past week had. Great view from the hotel room!